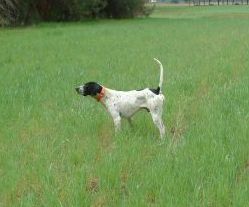 Three year old English Pointer male. 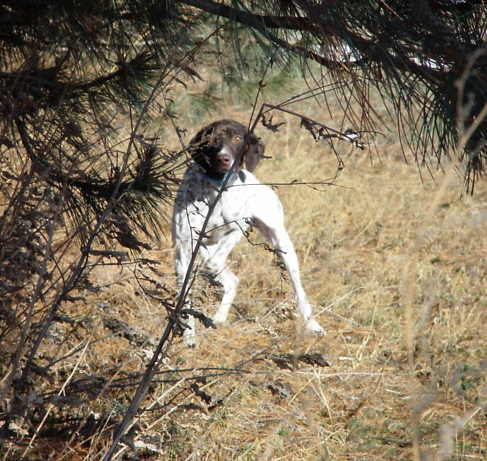 Finished gun dog, medium range, points and backs, force broke to retrieve. Two seasons of wild bird hunting on pheasants, grouse and woodcock. Handles extremely well. 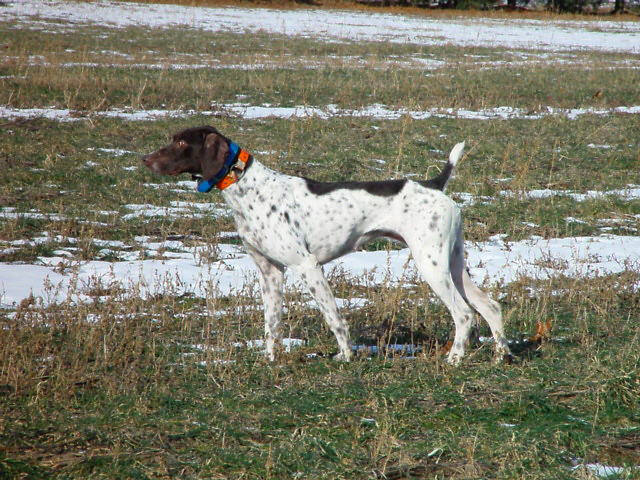 I use this dog guiding hunts.He has handled many birds and knows how to work the field. Elhew/GoBoy breeding. 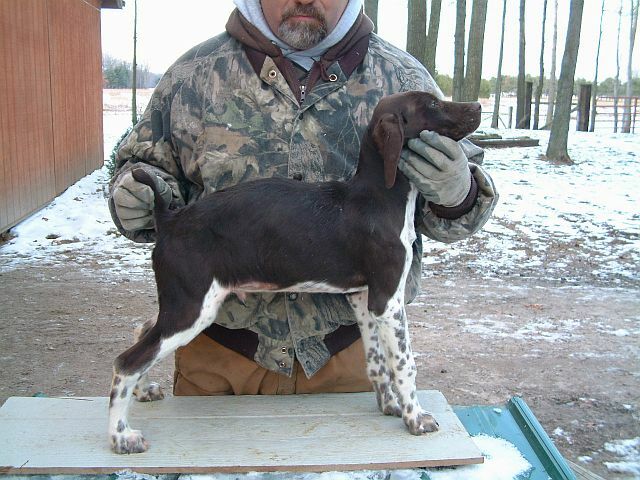 Crosswind Cannonball,3 yr old female GSP.Finished gun dog.Two seasons on wild birds,whoa broke,heels,handles extremly well,medium to close working,points ,backs and retrieves to hand.Great temperment,clean in the kennel. 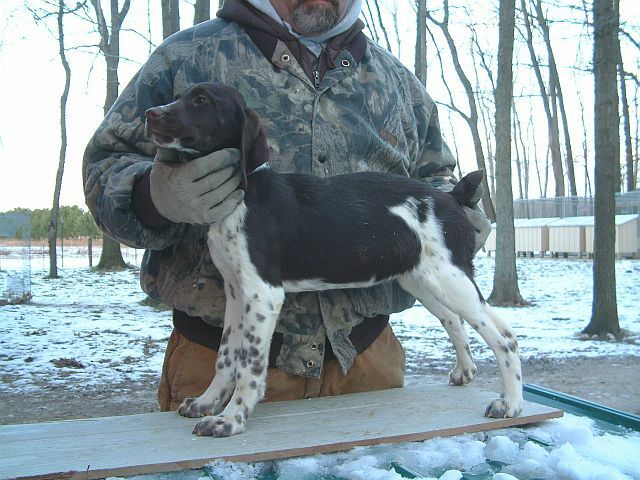 I have one male pup out of Crosswind Truckin Fritz and Gambels Crosswind Cricket,approx. 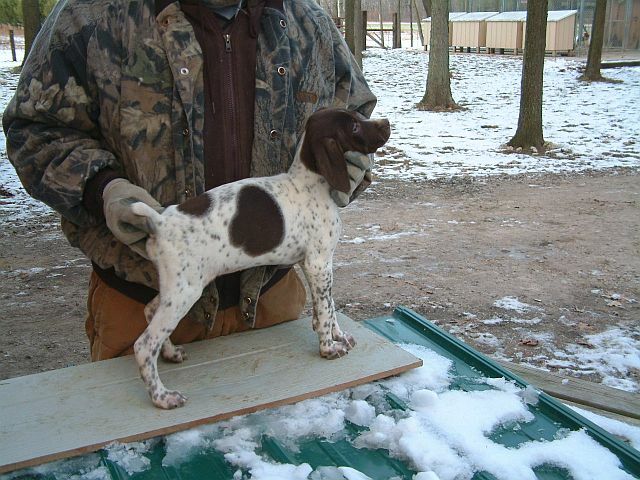 14 wks old as of Jan 18th.I could not get him to hold still for a real good pic.Very nice pup.His father is a 2x NSTRA champion in his first season on the circuit.Mother is a direct daughter of Odyssey's Sam Saint Max.